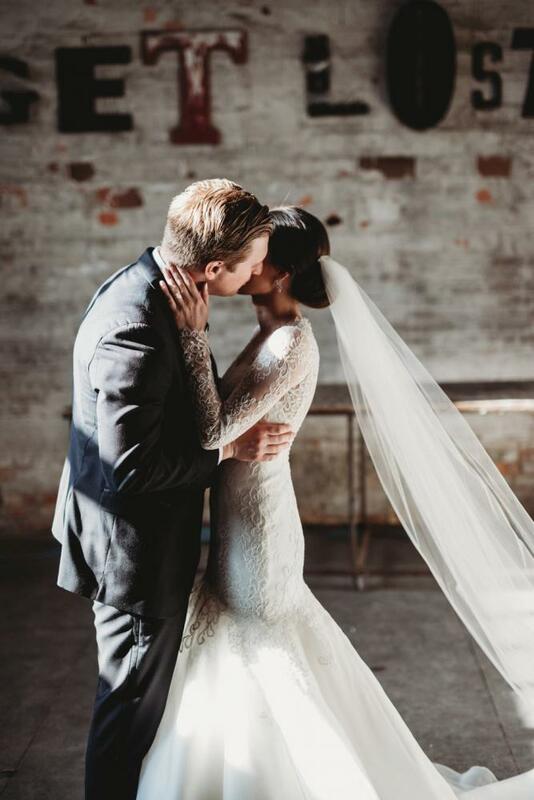 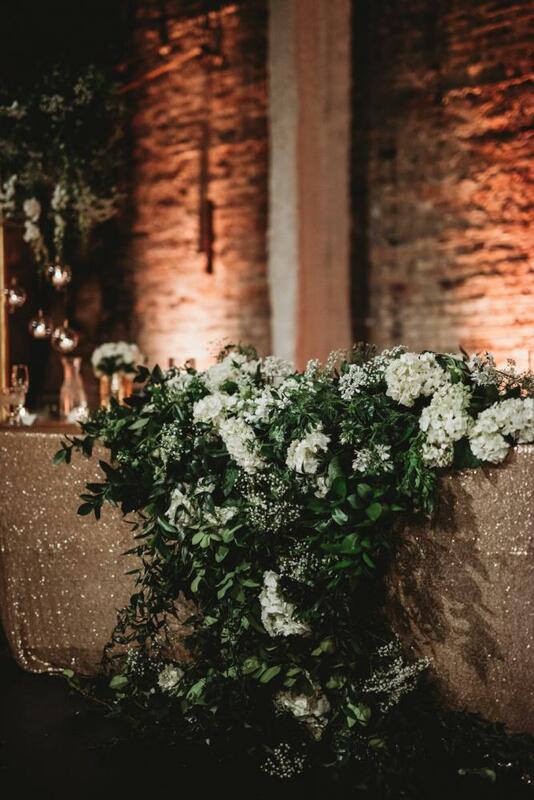 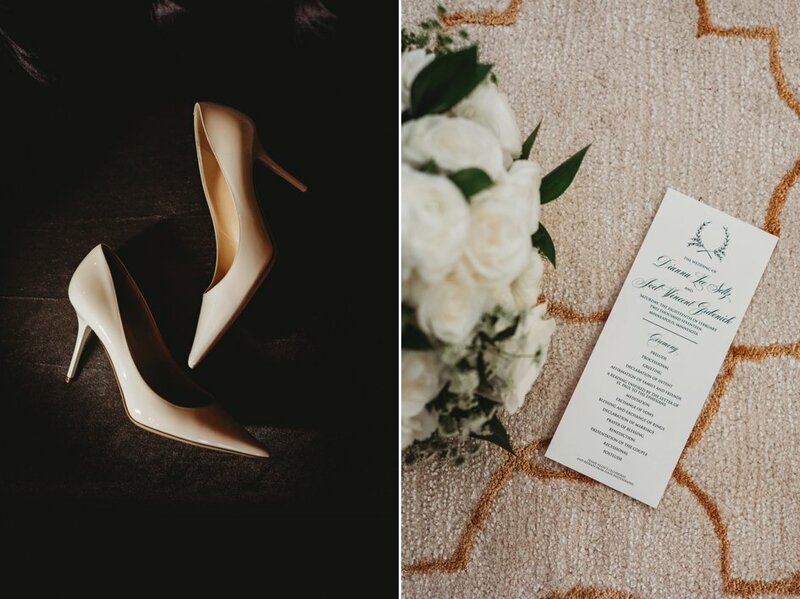 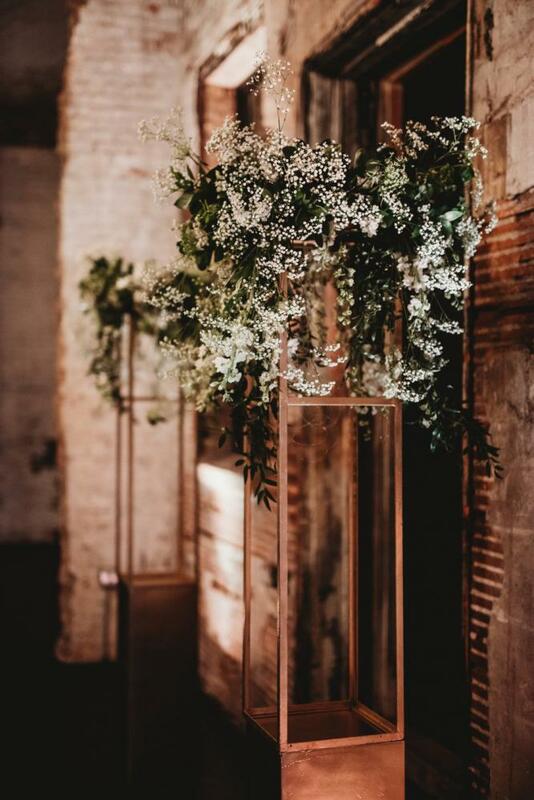 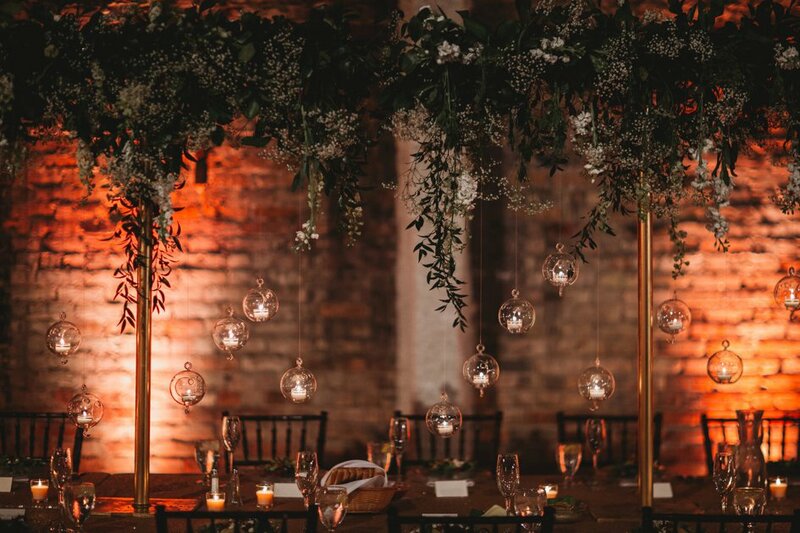 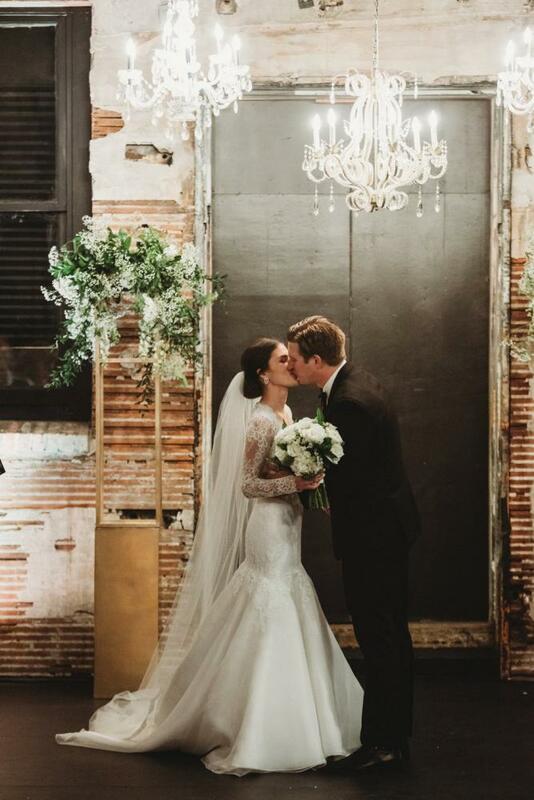 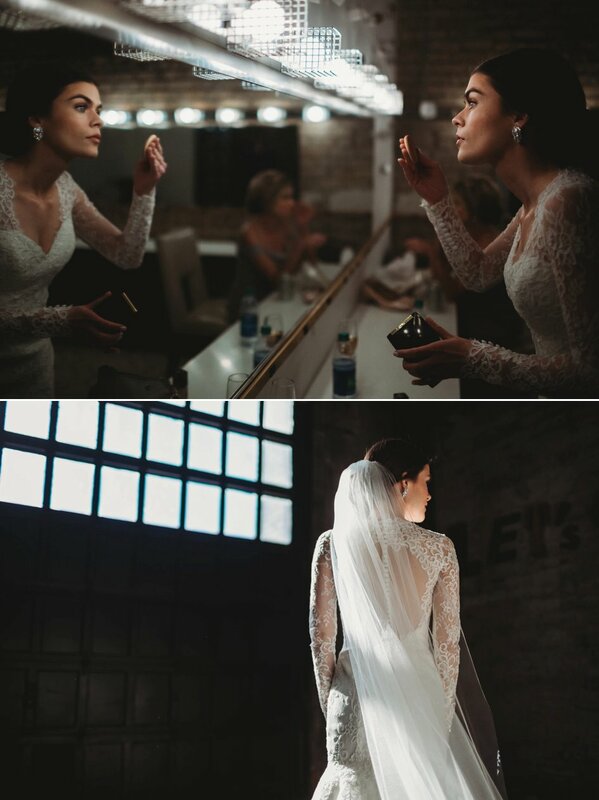 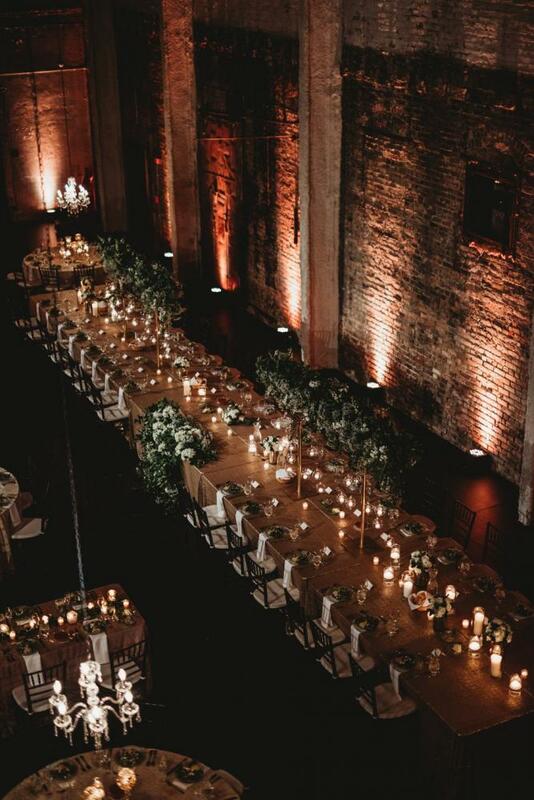 Dianna and Joel’s wedding was a classic affair that featured a glowing reception filled with fresh florals and exposed brick. 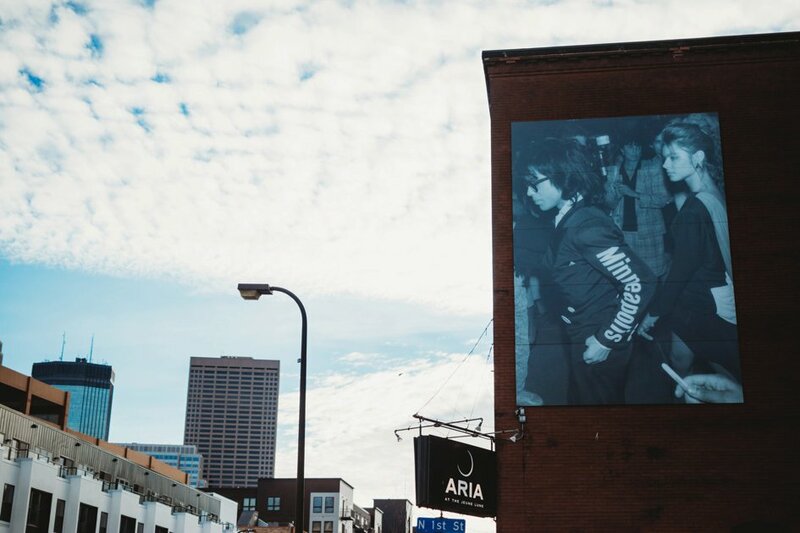 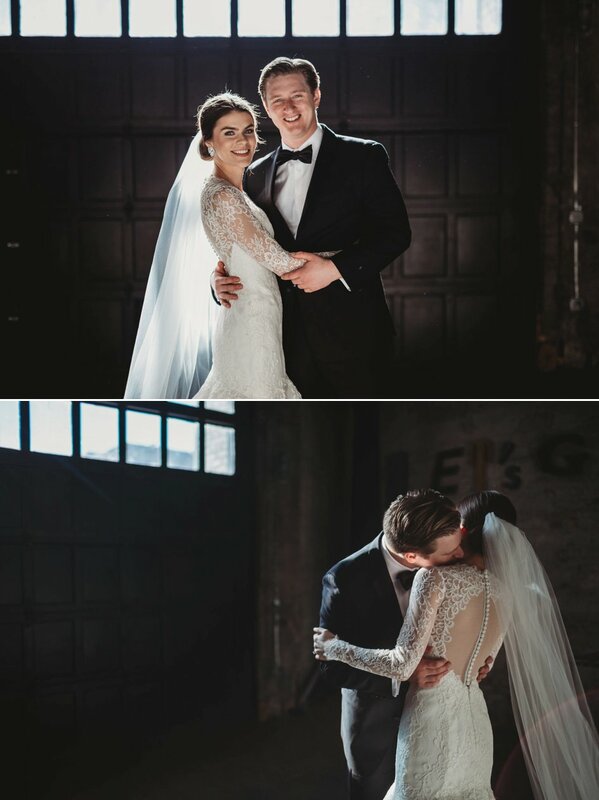 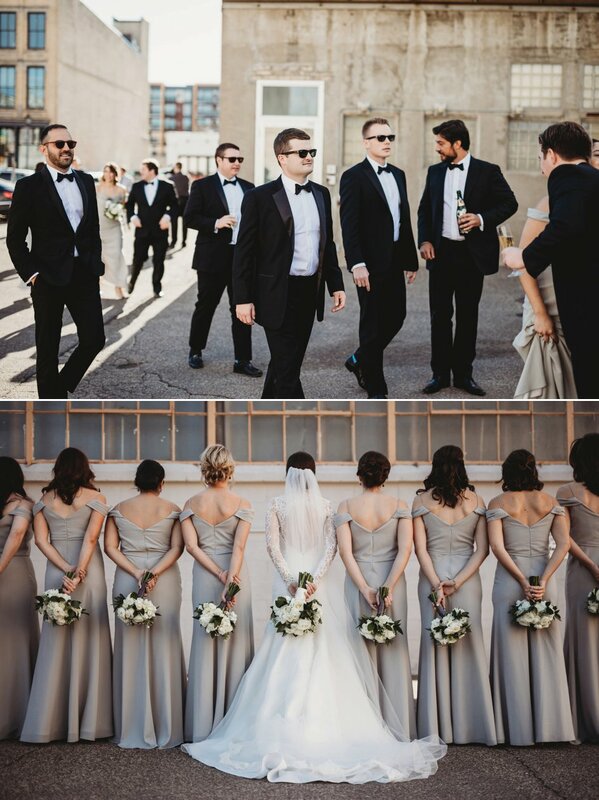 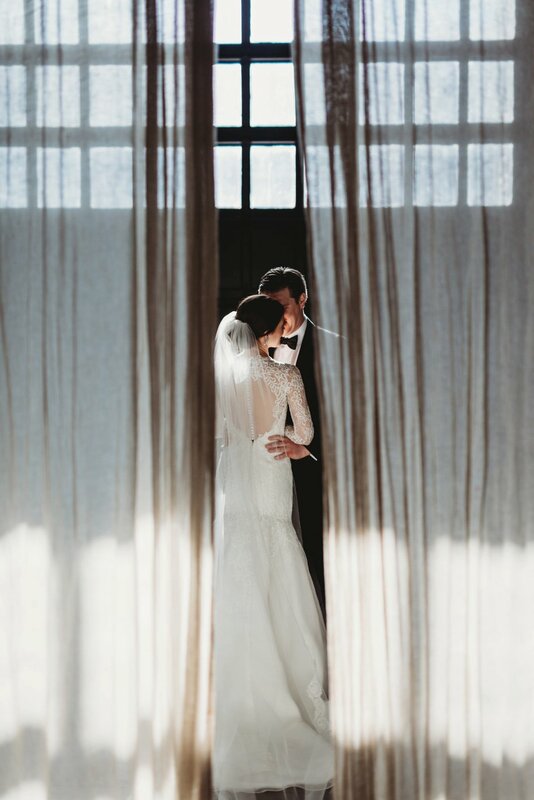 The couple’s chemistry was clearly evident as they walked throughout the modern venue, completely unaware of being photographed. 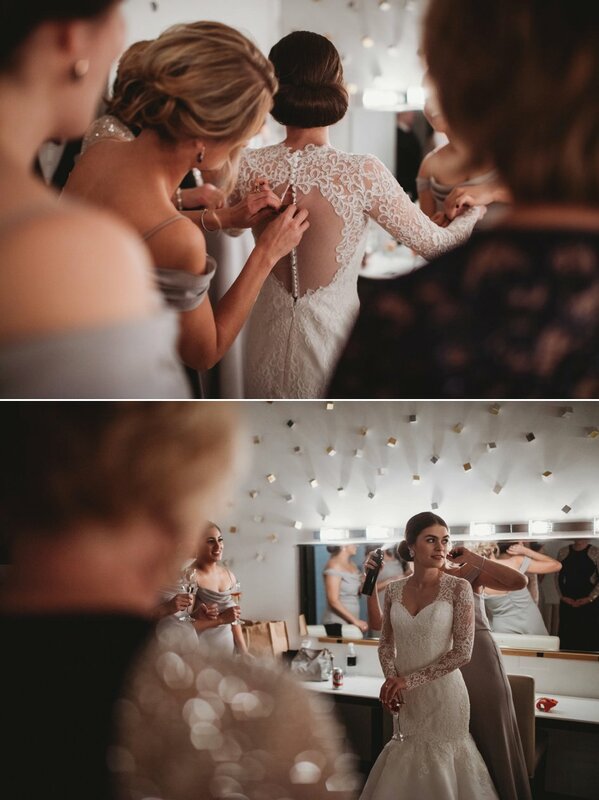 Dianna’s dress stole the show with its lace sleeves and mermaid shape, which she paired with a long veil and jewel earrings. 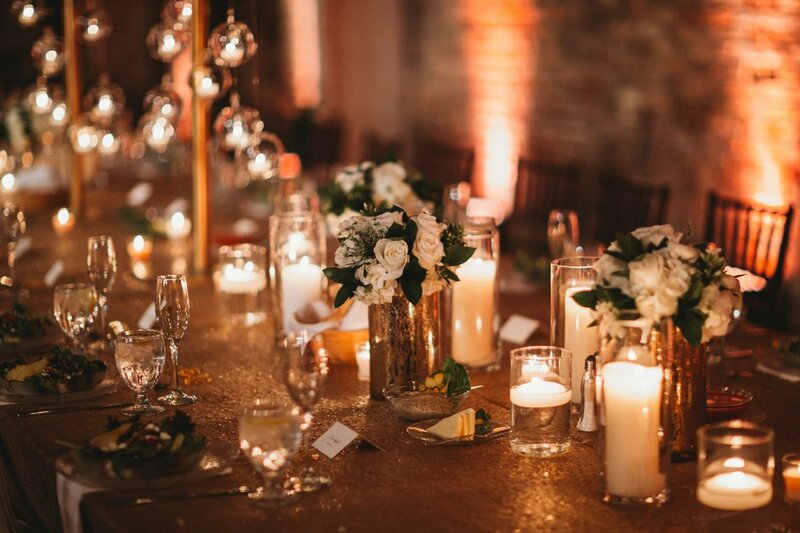 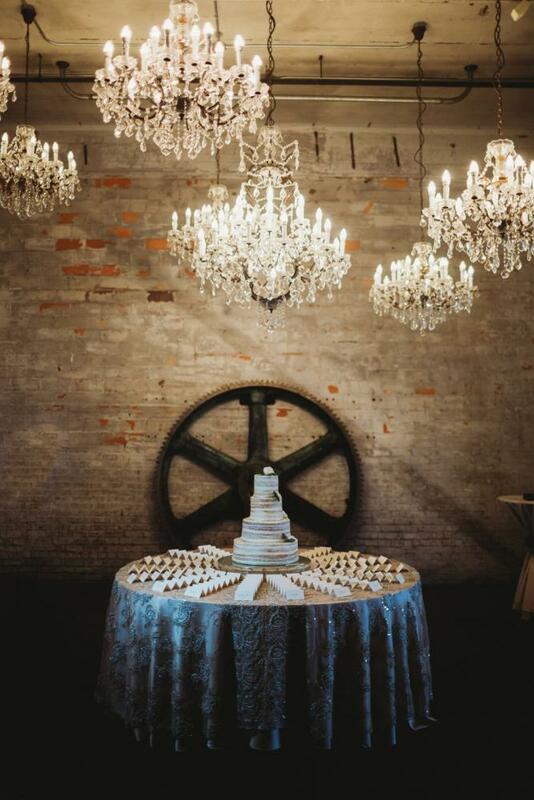 Guests dined on tables covered with shimmering cloth and overflowing with flickering candles. 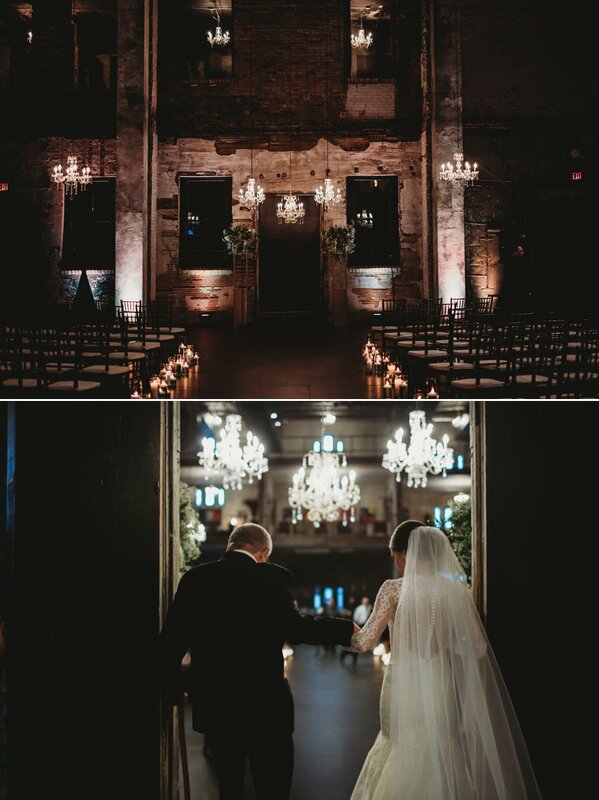 The evening was dark and romantic as the couple hit the dance floor, holding each other close. 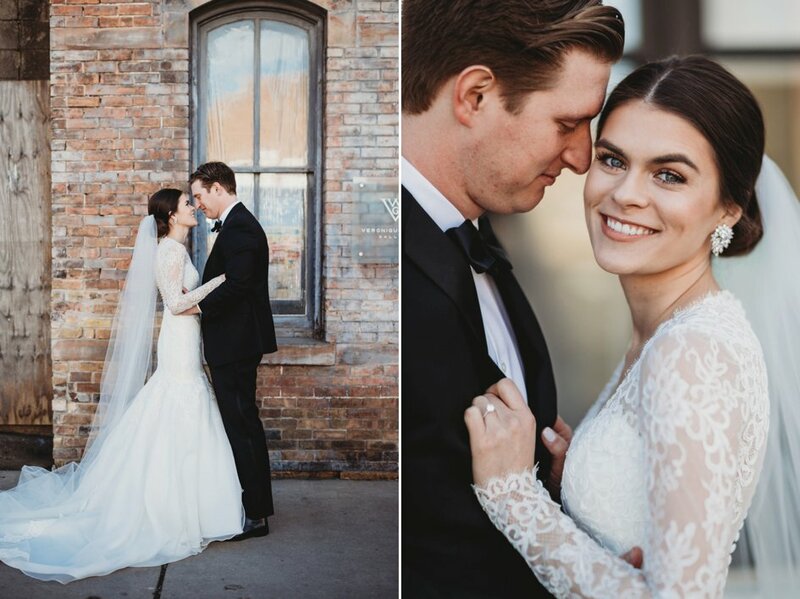 Romance lingered the entire day as family and friends watched Dianna and Joel fell even more in love.